A diary entry from Thursday 3rd July 2008. 2pm. 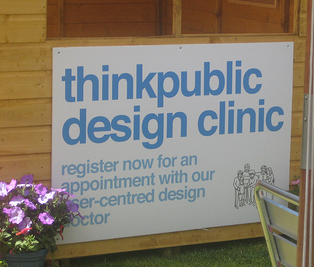 Standing outside the Think Public shed at 2gether08 festival wondering whether or not to approach them and take up my booked slot exploring Youth Work 2.0. 2.30. Got it. Detached youth work is far easier to explain than general center based work – as there is no real formal education parallel for people to get sidetracked onto. Weâ€™re going to focus on detached youth work 2.0. 2.35. Building a story about the problem; the opportunities; and the possible solutions (training, negotiate with young people the code of practice for youth workers in SNS space; develop support for young peopleâ€™s peer-education). 2.40. 2gether08 team approach. Do we want to pitch? Raj has to head off. Iâ€™m on my own… erm – go on then, letâ€™s pitch this idea. 2.45. We need some graphics. Panic to find images online. In the end we take a photo of my â€˜social media on little bits of paper cardsâ€™. 2.50. Practicing a three minute pitch. Weâ€™ve got to go and practice at 3.20. 3.20. In the cloak room with other people pitching for rehearsals. Meet Jonnie Moore who will be chairing session. Realise that as weâ€™ve chucked out the cloak room volunteers weâ€™re going to have to keep getting peopleâ€™s coats for them whilst trying to practice. Invite the cloak room volunteers back in. Run through pitch in my head. Getting rather nervous. 3.45. Steve Moore suggest we hold the pitching sessions in the open air. Sounds good. Less pressure. Start to feel more relaxed. 3.55. In the open air. Heavens open. Ah. 4.15. Rain isnâ€™t stopping, so back to plan A. Pitching in the Theatre. Heat levels and humidity in the theatre at oppressive levels. Now nervous again. 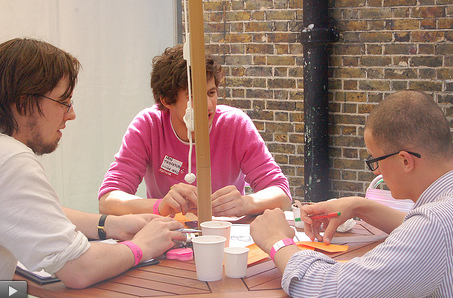 The need for (1) training; (2) youth-adult negotiation about youth work 2.0; (3) support for peer led work online. 4.38. Positive noises from the audience. Seems to have gone ok. Certainly has helped me clarify some of what we need. Pitch over. I think it was being caught on video. So perhaps Iâ€™ll share that soon. 4.55. Listening to other peopleâ€™s pitches. They all end with a really clear â€˜call for actionâ€™, or â€˜request for helpâ€™. I didnâ€™t have that in my pitch very clearly. Hmmm, missed opportunity? But Iâ€™m not sure what my call for help would have been. 5.30. onwards. Great conversations flow after the session. Still not quite as focussed on youth work as I want… but useful none-the-less. 20.24. Writing all this up. Realise that weâ€™re going to be doing (1) in Rotherham in a few weeks, and (2) is coming up as part of the Youth Work and Social Networking project when Iâ€™m down in Devon at the end of July. Hmm, looks like we might already be building the solutions. But on the very local level. Now all we need is a model to scale all this up. Ah-ha that was the call for help/action that I missed. What I need is help to scale this stuff up. Any offers?